Linux, around in the market since 1991, is a family of free and open-source software operating systems built around the Linux kernel. It is often bundled in the form of a “Linux distribution,” such as Fedora, Debian, or Ubuntu. Initially developed for computers based on the Intel x86, Linux has evolved and adapted to more platforms than any other operating system. The Linux kernel also runs other known operating systems, such as the Chrome OS. Also, numerous smartphones and tablets run Android and other Linux derivatives. Linux is the most vivid example of how successful and efficient open source software collaborations can be. By definition, Linux’s underlying source code can be modified and distributed by any person under the terms of its respective licenses. In general, people that look for Linux distributions are searching for enhanced privacy and more options for configuration. It is a popular alternative, but maybe not as widespread as other operating systems such as Windows. However, in our current cybersecurity landscape, no solution is 100% bullet-proof, and everything we can do to enhance our safety should be welcomed. That is why using VPNs, or Virtual Private Networks is widely recommended for all operating systems, even the Linux kernel. VPNs are handy online tools that have the capability of encrypting the user’s content and IP address, sending the information to remote servers managed by the VPN company instead of those that the customer’s Internet Service Provider administrates. 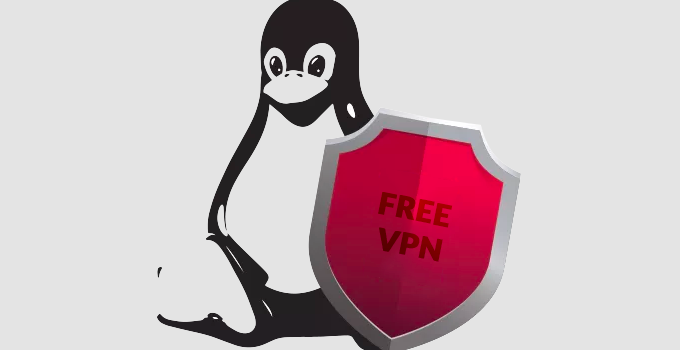 With one of the best free or even paid VPN for Linux, you can protect your Internet privacy and maintain your generated content away from hackers, malware developers, censorship and surveillance, online advertisers, crypto miners, and more. Also, you can implement a secure VPN connection provided by one of the best free brands to help you bypass geo-blocking restrictions that prevent you from watching for favorite foreign pages and streaming services. If you have decided to take the next step towards privacy, safety, anonymity, and accessibility, take into account that the option you choose needs to implement robust encryption and have a strict no logging policy. Also, having native apps for Linux is preferable, and other features such as DNS leak protection, a kill switch, a broad server network, and torrenting support are desirable. 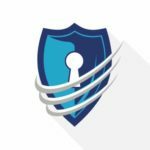 Windscribe is one of the best free VPN for Linux because it has three paying modes and a free version, with 10 GB of free bandwidth per month. It isn’t as fast as other top VPNs in the industry but is perfect for the Linux kernel with its robust, military-grade AES 256-bit encryption. It has a Chrome extension free for users, and although the customer support isn’t the best (it has bots,) it has excellent device compatibility, strong privacy, and encryption, no leaks, no measures, and it bypasses Netflix proxy error with the Windflix feature. The free plan only connects to servers from 10 countries. The Pro version has servers in 53 nations. ProtonVPN is a fantastic VPN for people who prioritize security over a broad server network. It was developed by a group of specialists in online safety and privacy to satisfy a particular type of market, but it has evolved to become one of the best free VPN for Linux users. This VPN is among the very few VPN service providers that offer no data caps while not charging a dime. It is incredibly secure, and speeds are satisfactory as well. It has a dedicated Linux app in the form of a command-line tool. SurfEasy is a good VPN option for Linux users. It has a free plan and a free Chrome proxy. Although the costless version has a somewhat restrictive 500 MB data cap per month, it allows users to test the services and ponder whether they want to acquire a better, paid version. The free and paid plans both use military-grade AES 256-bit encryption and the OpenVPN protocol. It is easy to use, and although it logs some connection details, it allows torrenting and has more than 1,000 servers in 28 countries in the premium plan. 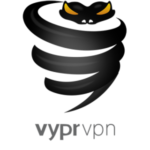 Managed by the Golden Frog company, VyprVPN is a perfectly usable VPN app for Linux. It provides access to geo-restricted content online thanks to its +700 servers in 50 nations around the world. It is also speedy and offers stable performance. VyprVPN has no DNS leak problems, strong encryption, it works with Netflix, it has a three-day free trial, and it is compatible with most devices and platforms. As for drawbacks, we could find that it keeps some logs about users’ activity, torrenting is discouraged, and the customer staff isn’t accommodating. 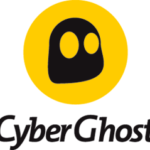 One of the most versatile VPN providers in the industry, CyberGhost offers almost 3,000 servers that cover 59 nations. With seven simultaneous connections, a relatively quiet location in Romania, and a kill switch, it is perfect for Linux. Also, users of Debian-based systems such as Ubuntu, Mint, and Chakra (a fork of Arch) can connect by following CyberGhost’s online tutorials and configuring the connecting settings through OpenVPN and PPTP. Some people have put dubious reviews about CyberGhost, and there are security breach allegations, but those cases represent the minority. It is a handy app to have around for your Linux experience. In conclusion, Linux is one of the most secure options as far as operating systems go. However, you can still use one of the best free VPN for Linux and benefit from its content unblocking capabilities and censorship bypassing features, not to mention enhanced online privacy.